HUẾ (Vietnam) – This 4th edition of the Tea Masters Cup – TMC-international took place from November 23rd to 25th 2018 in Huế (Vietnam) and was organized in cooperation with the Vietnam Tea Association (VITAS) with the support of the Peoples Committee of Hue. General Sponsorship of the event came from Dai Nam Imperial Medical Office, Vinatea Co. Ltd, Thai Tea JSC and Bat Trang Hoang Long Ceramic Company. This innovative concept of the Tea Masters Cup was launched in 2013 by Ramaz Chanturiya, Executive Director of the Russian Coffee and Tea Federation, after several years of designing and refining the scheme: the full focus is set on promoting specialty teas with the end consumer through highly educated, knowledgeable and competent tea professionals. With the view to the extremely positive results that have been generated over the past 30 years or so via the SCAA/ SCAE and now through SCA running a set of coffee professional championships, Chanturiya has devised the TMC competition along similar lines in order to enhance the specialty tea segment. The initial target was to highlight and enhance the knowledge and competence of the tea professionals in the huge Russian tea market, where tea has been for centuries the main hot cup. To note that Russia is also the world’s biggest tea importing market although coffee is steadily gaining ground. The 4th TMCI, which was run in Hué , the former imperial capital city of Vietnam, was attended by 15 countries by sending the winners of their own annual national championships, which had been held during the current year. The following fifteen countries were represented by their national champions : Australia, Belarus, China, Czech Republic, France, Italy, Kazakhstan, Latvia, Russia, South Korea, Sri Lanka, Turkey, Ukraine, UAE, Vietnam. 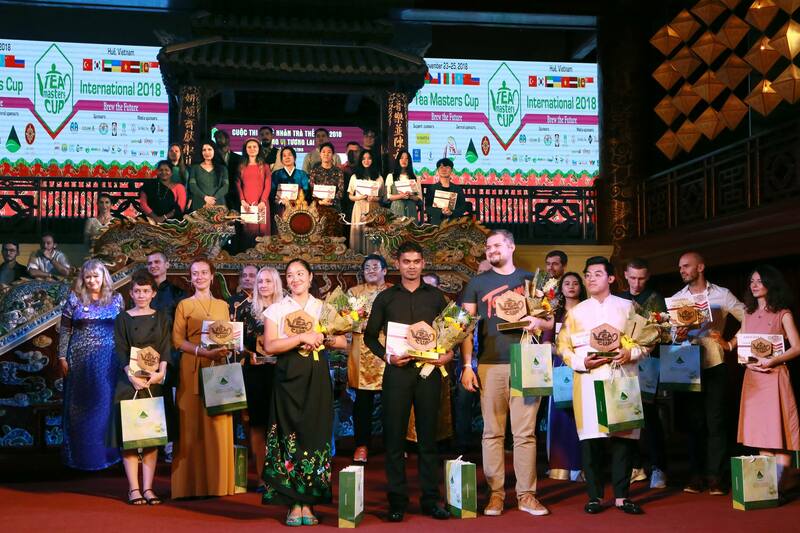 The Tea Masters from these 15 countries were competing for the title of “World Champion 2018” over three days in the four statutory categories: Tea Preparation, Tea Pairing, Tea Mixology and Tea Tasting. To note that Canada, has recently announced its membership with TMCI on behalf of the Canadian Tea and Herbals Association, with the planned participation in this new and exciting championship from 2019 onwards. TMC Chairman and Founder, Ramaz Chanturiya closed the celebrations, underlining: “With each annual international championship we are moving forward towards a strong global tea market, by enhancing the value of Camellia Sinensis and improving the whole value chain. Through TMC we are brewing a new future for tea and look forward for more markets to join for increased cooperation and with the goal of becoming a worldwide celebrated event”.